Today I harness the power of NOW to create all my tomorrows! You are doing great! We are already up to the 18th day of our journey together. Wisdom reminds us that NOW is all we have. Yet, we often live around it, ignore it, and leave it unattended on our flights of fancy into the future or our clinging to a past that’s now nothing but a dry river bed. Whether they consciously know or not, happy and successful people are those who can right here right now. Now is where we can feel life, change life, and make a difference for ourselves and those around us. I recorded this brief video about this concept last summer. This one doesn’t take a extra work or effort. 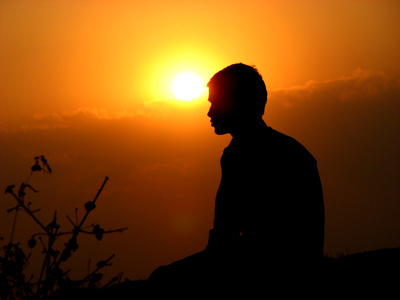 It simply requires conscious awareness – when you leave this moment – to breathe and come back to NOW. Power hack: Blogger and coach, Catherine Beard, offers these 12 fantastic tips for being more present. Stay inspired and have a great day, my friends! Enjoy the video! If you’d like to download your own copy of the mp3, click here. When I am open to bigger possibilities, I am open to bigger outcomes! 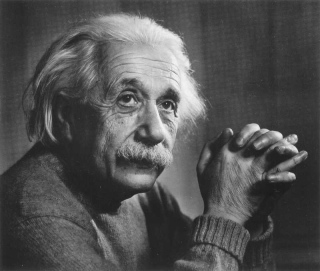 Many think of Albert Einstein as that wild-haired mathematician, physicist, smartest guy of all-time, or the E=MC2 guy. Today many have forgotten that he was also a great thinker, philosopher, statesmen, and advocate for humanity in his time. His ideas led to massive advances in many fields, including warfare and weaponry – the atomic bomb. He was keenly aware of the responsibility humanity had to use his genius – our genius – wisely. He had is flaws and his personal problems like the rest of us. To me, that only makes him more human and his genius more approachable. Today I am sharing my 15 favorite Albert Einstein quotes. Some of them will not be new to you. I hope a few of them will provide new insights into the man and into yourself. It is a rare treat to come across such insightful and impacting article on a topic we all think about. Sonya Derian’s article addressing why we should pursue our dreams in a world where there is suffering and want is such an article. I’m pleased to share her wisdom. The article came in response to the following question from a reader. “… I guess what I’m getting at is if everyone had a choice, treating sewage would be the last thing one would want to do. Isn’t it? Well yes I’m making that judgment. If everyone was Wayne Dyer or that money guru lady Suze Orman, we’d all be reaching fantasy levels of achievement. That is what they seem to be proposing is possible. The Saturday Positive Thinking Survey gives readers of The Affirmation Spot an opportunity to express their views on a survey question related to positive thinking or positive change. Dictionary.com defines wisdom as “the quality or state of being wise; knowledge of what is true or right coupled with just judgment as to action; sagacity, discernment, or insight.”What is your practical definition of wisdom and where do you does your wisdom come from? Share your wisdom by sharing your thoughts here.